There are not a lot of insects that could be enlarged to a size like this and still look adorable. 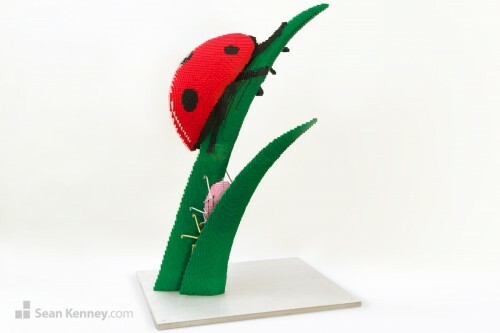 I love seeing ladybugs in nature — they are cute and their red spotted body makes me smile. 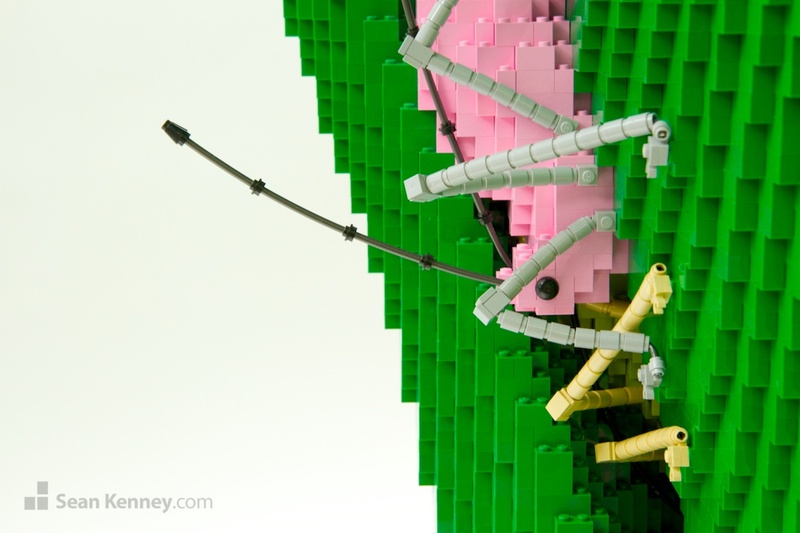 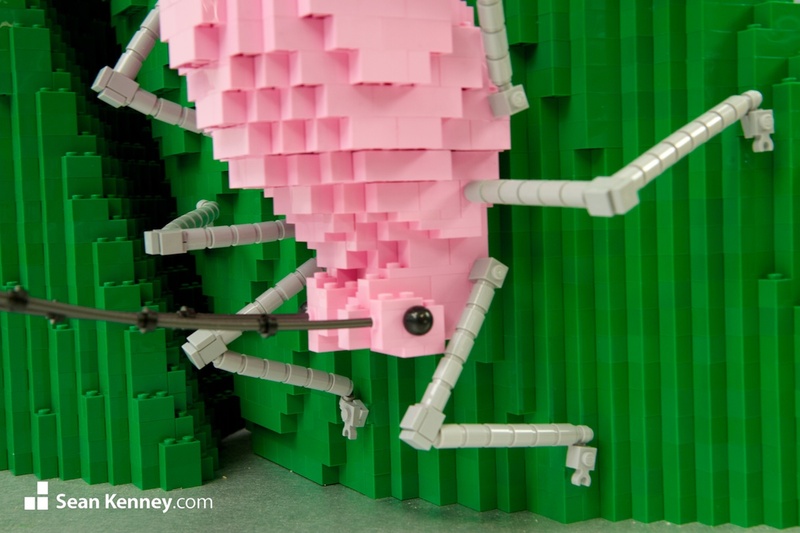 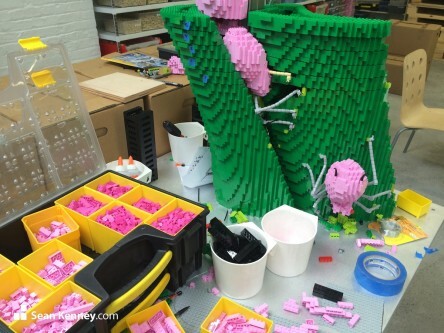 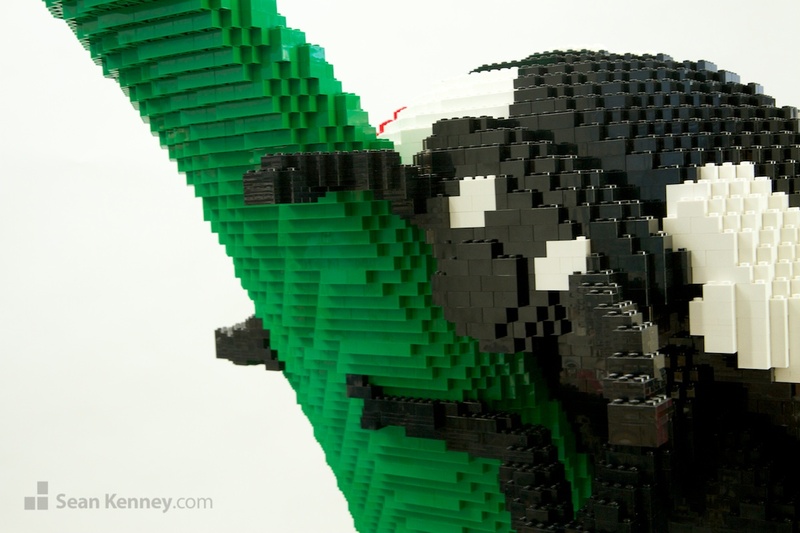 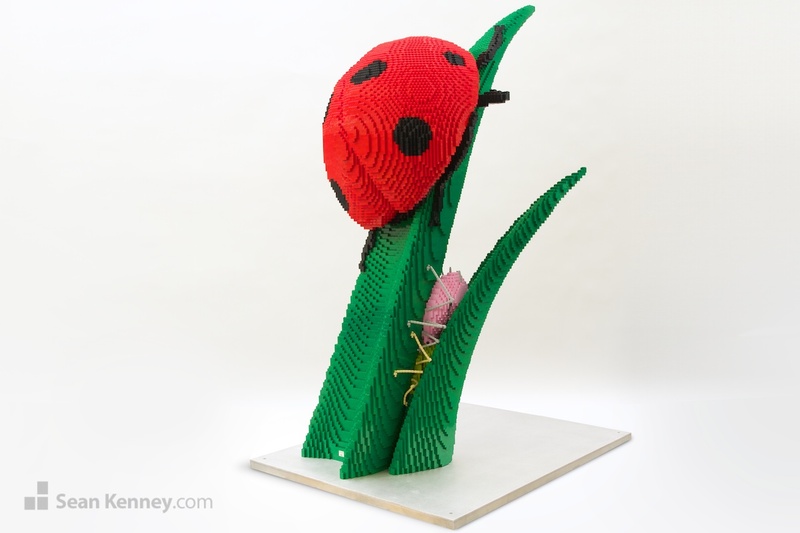 This giant ladybug sculpture is over 5 feet tall and contains 30,963 LEGO pieces. Like spiders, Ladybugs are good insects to have around because they eat other bugs. We decided to make this ladybug crawling on a blade of grass that was infested with aphids. 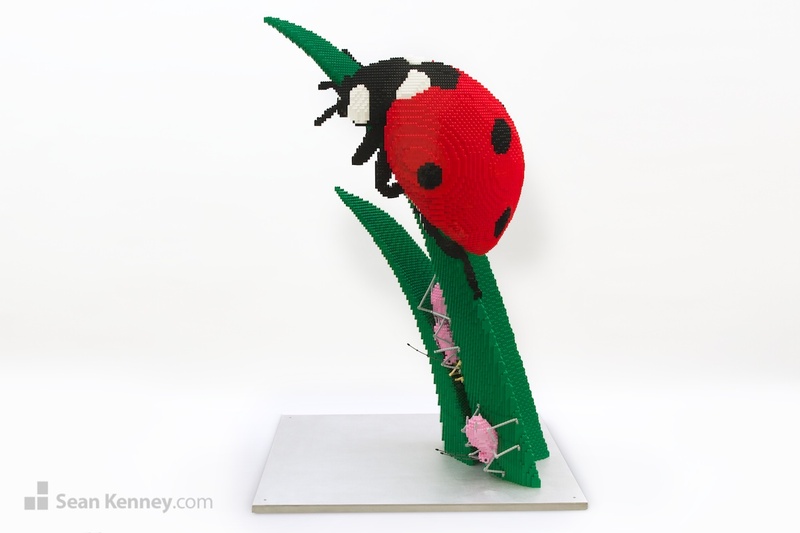 I am particularly happy with the weightlessness achieved by the slender, tapered grass blades. 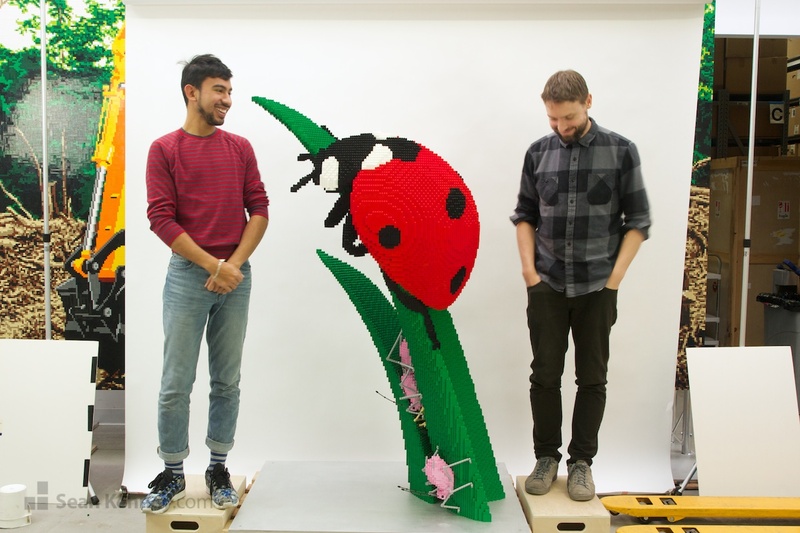 The sculpture actually weighs over 200 pounds (90kg) ! 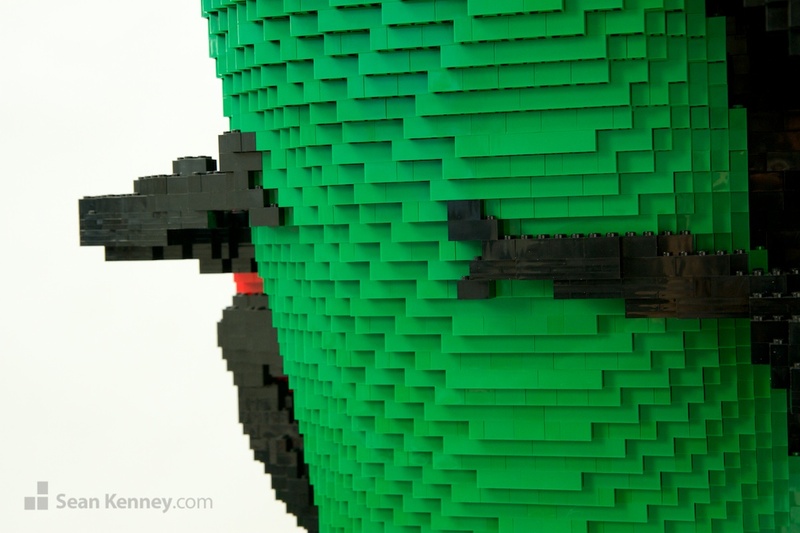 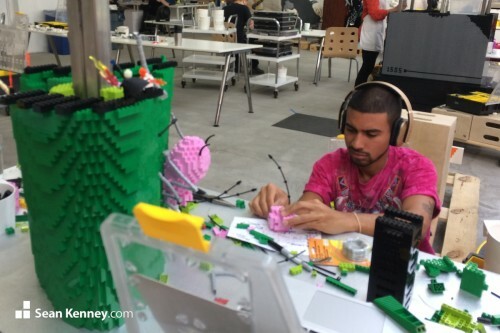 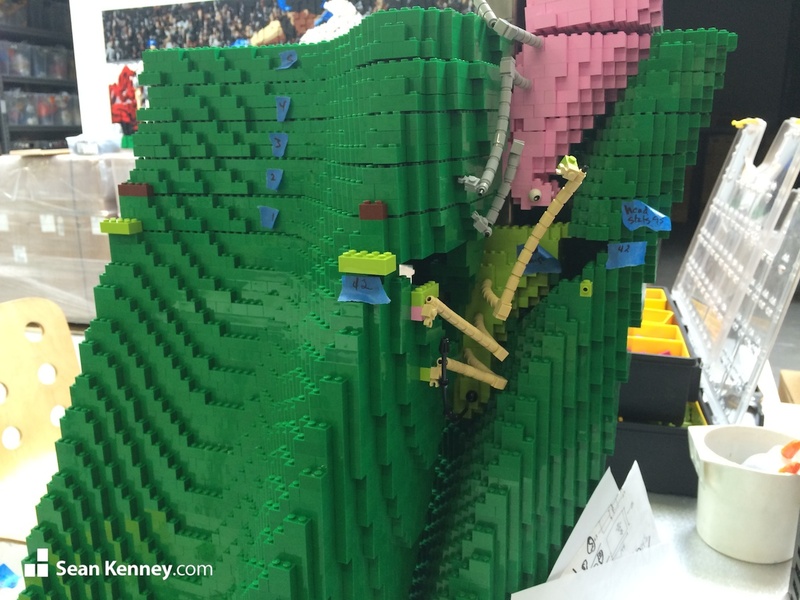 The sculpture is over 5 feet tall and contains 37,156 LEGO pieces. 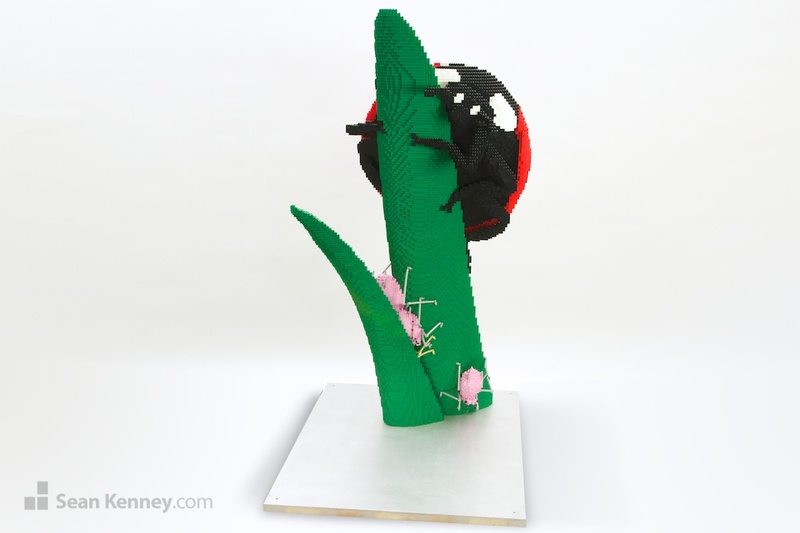 It was super tricky to design and build the aphids that are wedged tightly in between the blades of grass. 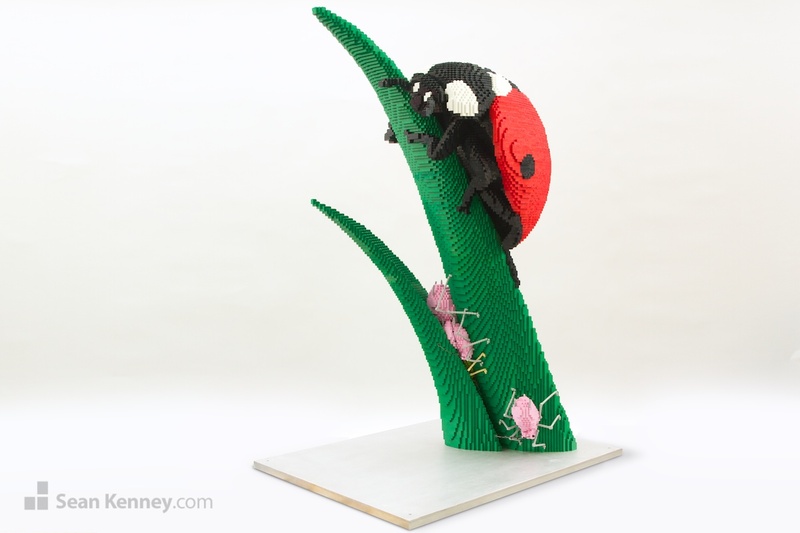 Luis (below) created many cross-sections of the plant and tiny little aphid faces. In all, the sculpture took over 400 hours to design and build by my assistants Luis (left) and Geoffrey (right).